We’ve barely started the switch to 4K, and now 8K TVs are already on the market. Are they worth it? Should you care? Here’s everything you need to know. 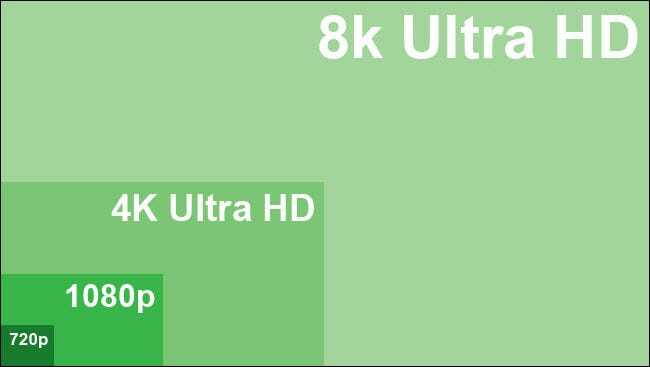 What Is 8k? How Does It Compare to 4K and HD? You might think that an 8K TV is double the resolution of a 4K TV, but because of the complicated method for measuring resolution, this isn’t true. 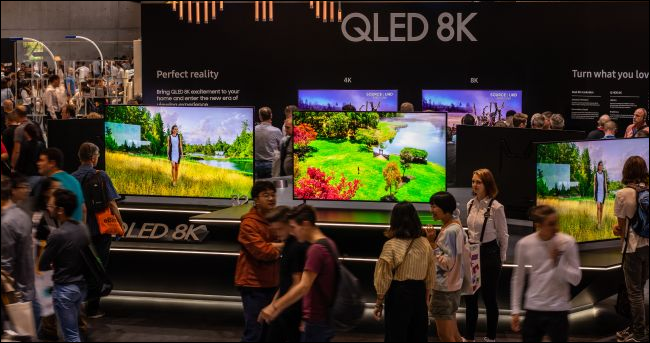 The term 8K refers to the horizontal resolution of the TV—that is, how many pixels run across the display left to right. 8K TVs have twice as many horizontal pixels, but they have four times as many total pixels as 4K—and 16 times more than 1080p—when you look at the entire surface area. It’s a lot of pixels. A 720p TV (or HD) is measured at 1280 pixels wide by 720 pixels tall. A 1080p TV (a.k.a. Full HD or FHD) is measured at 1920×1080 pixels. A 4K TV (a.k.a Ultra HD or UHD) is measured at 3840×2160 pixels. An 8K TV is measured at 7680×4320 pixels. One thing that’s easy to spot with these resolutions is that after 720p with each new standard, both the horizontal and vertical pixels doubles. It’s this doubling in both directions that lead to such a vast jump in overall pixel count. 8K TVs are just packed full of pixels. 4K TVs are finally starting to take hold and come down to affordable pricing. HDR may still be in a war of standards, but more and more TVs are offering both options. And HDR does remain a separate factor from resolution, so it will still be up to the manufacturer to implement them. If you’re going to buy a new TV, it should be a 4K HDR TV; you don’t need to wait for 8K for several reasons. Just like with 4K TVs when they were first released (and to a certain extent still to this day), there’s very little work being done on creating 8K content. While a few movies have been filmed in 8K, Netflix and Amazon are still focused on their ongoing effort to rollout 4K content. And currently, no standard has been agreed upon for delivering 8K content to TVs. Japan has introduced a broadcast channel dedicated to 8K content, and this gives us a great early look of the complicated requirements. To enjoy any of the 8K media, you will need an 8K TV, a dedicated satellite to receive the transmission, and in some cases a replacement for boosters and distributor boxes. All of this is a large investment for the average person. Japan is pioneering this technology with plans to broadcast the 2020 Olympics in 8K. It is worth noting that the best 8K TVs will be able to upscale lower resolution content, which will make a huge difference. Many 4K TVs already do this, making 1080p content look better than it deserves. Upscaling makes up for lack of 4K content and makes it, so you don’t have to watch 1080p movies with a huge black border surrounding them. The best way to describe it is to think of it terms of smartphone screens. When large screen phones with high resolutions started coming out, it was almost shocking how good the screen could look. Apps that were lackluster on a smaller phone suddenly looked gorgeous. Even websites felt like they were given a makeover when the website itself hadn’t changed. If you are used to an iPhone 6 and hold an iPhone XS today, you will be blown away by the difference. And that’s what 8K TVs will offer if they come with a decent upscaling algorithm. Samsung, in particular, has been working on 8K upscaling and early reviews are extremely promising. But this is a feature already found on high-end 4K TVs, so it isn’t a sole reason to buy an 8K TV. Streaming 4K is already tough. Typically you want to have at least a 20 Mbps connection for 4K streaming, and in much of the U.S. this still isn’t an option, or is prohibitively expensive. Given that 8K is four times the pixels, the requirement will be even higher. Early tests have shown that a single 8K stream will require a minimum of a 50 Mbps connection, a speed that’s not an option for many people in the United States. 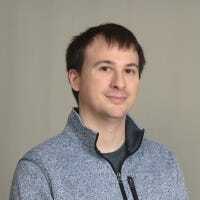 If you start to consider multiple simultaneous streams, even a gigabit connection would have its limits tested. Even if you’re lucky enough to have a gigabit connection, you may need to worry about a data cap. An hour of 8K streaming is going to burn through 75.2 GBs of data (roughly, depending on compression and other factors). If your cap is a mere 1 TB you could easily blow through this in a week, if not a long weekend. Considering that Netflix, Amazon, and the other streaming providers still have a long way to go just to offer 4K content, the concept of offering 8K streams seems very far off. But when they come they will introduce their own hurdles, from the technology necessary to stream to the limits ISP’s place on us. Japan’s current solution doesn’t even work over a terrestrial setup but instead requires a complicated satellite infrastructure. In a tale as old as time, new TV technology always starts very expensive and drops in price over time. When 4K TVs first hit the market they were usually in the $20,000 range. The mildly good news is 8K TVs are debuting at a smaller cost this time around. The bad news is, they’re still in the $15,000 range. If you have $15,000 to drop on a TV, you might still be better suited to buying a much less expensive 4K TV (or two) and a nice sound system. The giant expense is a necessity. All new technology is hard to produce at scale at first, and over time manufacturing will improve and costs will come down. In the near future, TVs are going to resemble smartphones in that the absolute best screen tech is what you are going to want on your wall and in your pocket. But we’re still at the point with both that the second best technology will serve you perfectly fine, especially if you are on a budget. So, Is There Any Benefit at All to an 8K TV? Ironically, the people who benefit from an 8K TV the most are probably not the most obvious first guess. That would be people living in apartments or older homes with a more narrow living room. The benefit to higher resolutions is that it lets you sit closer to the screen, especially as the size of the screen grows. A very large 1080p screen (say 70 inches) will look terrible if you’re up close to it. You will need to be sitting pretty far away to not notice the pixels. A 4K TV improves this, but if you have 70-inch TV you should still sit about ten feet away to get the best experience. If you’re in an older home with a traditional living room or a smaller apartment that can be a problem, but a 70-inch 8K TV will let you sit much closer to the TV and still see rich detail. That close proximity will lend itself to a more immersive, cinema-like experience. And if you have a small or narrow living room, you won’t have to worry about getting the couch far away enough from the TV to get the most out of it. But chances are even in that scenario, you should just buy a smaller 4K HDR TV instead. It will cost far less, and you’ll see benefits much sooner. If you can spend extra, find a TV that supports both HDR standards and has very good upscaling processing. Consider OLED for the best dark colors. If you are in the market for a new TV today, there aren’t enough compelling reasons to wait for 8K TVs. 8K TVs are also going to offer the very best in screen technology. Sony is currently showing off an 8K TV that can hit a whopping 10,000 nits. Nits are a measurement of brightness and for a quick comparison, the brightest TVs available commercially right now top out at about 4,000 nits. At the same time, this TV is OLED so while it can achieve the brightest of brights it can also hit the darkest of darks. This wide range will spill over into colors and provide a much more vivid and lifelike experience. Samsung is offering similar benefits in its 8K TVs, while also implementing the new upscaling techniques mentioned earlier. It will include additional features like an Ambient mode that adjusts the screen to local room lighting or lets it blend in to the wall when not in use. This is similar to a feature found in the Google Home Hub but scaled up to 85 inches. Every 8K TV is a step up in features, capability, and even components from any 4K TV on the market today. In an almost literal sense, no other TV will be able to hold a candle to these next generation TVs. For all their vast cost, 8K TVs do bring the very best in picture, even when you’re not viewing an 8K video. But for the average consumer, the benefits likely won’t be seen in the home for a few years to come.